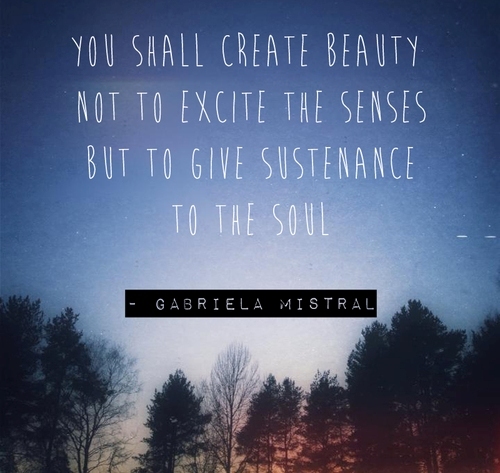 You shall create beauty not to excite the senses but to give sustenance to the soul. 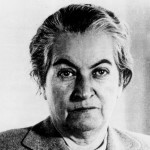 Gabriela Mistral was the first Latin American to receive the Nobel Prize in Literature, which she did in 1945 "for her lyric poetry which, inspired by powerful emotions, has made her name a symbol of the idealistic aspirations of the entire Latin American world". Some central themes in her poems are nature, betrayal, love, a mother's love, sorrow and recovery, travel, and Latin American identity as formed from a mixture of Native American and European influences.